It's been a long wait for North American musicians following the European launch of pocket music studio Rytmik, but we can reveal the game will launch on August 23rd at 800 Nintendo Points. 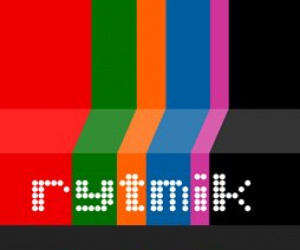 Cinemax also let us know about Rytmik: Rock Edition, due for release later this year. We don't currently have any more information about Rytmik: Rock Edition, but as soon as we hear more we'll let you know. Wow! I'm looking forward to the rock edition! To be honest, when I was browsing through all the samples in the original, I did think to my self "this is all very dance, but I could do with some rock drums...". Good have my 800 points really for that day. Rytmik: Rock Edition rock on! Aww farther away than I had hoped At least I know when it'll be released now! Woot! I've been waiting for this one. Argh, I've been waiting for this, but now should I just wait or Rock Edition instead? This is a tad disappointing, but it's COMPLETELY overshadowed by the fact that I no longer have to wake up to disappointment every Monday morning! Having a release date is very comforting! I swear. I spent my points the day it was announced. Dangit. I've been looking forward to this for a while, but at 800 points, I'm wondering if I should just wait for the Rock Edition. Hopefully details for it will be released soon. hey prosody...one qustion: besides the drum sequences, how many instruments/tracks can play at the same time? also, how many drum sequences can play at once? @cinemax: aha! You just gave me the answer to why some music was cutting out in one of my songs. Can't wait for the rock edition. I have wanted to make more rock themed tracks since I first got Rytmik but found it problematic. Will we be able to make the likes of classic Doom style songs with the rock version? To anyone who thinks 800 points is too much, take it from me you will definitely get your moneys worth out of this software. So far I have created over 10 full songs using it...in lots of different styles. I'm very curious... Can you create 8-bit music with this tool? I'd need it for an upcoming game. the rock and roll version should be like 200-500 points, and should be an add on of the original! like games that you buy expansion packs for! didnt pop island do that recently, where you could buy more maps and animals on the dsiware shop for 200 points? Really excited for the Rytmik release, and looking forward to the Rock Edition! Here's hoping for compatibility between Rytmik and Rytmik Rock Edition. Electronica + electric guitar makes a great combination and it would be a shame if you couldn't use both in one app, if you have both of them on your DSi.